In the market for a new job? Going to a career fair is a great way to find a good fit for you, and they aren’t just for college students. Learning about each company is important. But sometimes it can be difficult to think of questions on the spot. Get the most out of your time by using these top 5 questions to ask recruiters at a career fair. You’ll be glad you went prepared. 1. How Have Recent Events Affected The Company? Do a little website stalking before speaking with the recruiters. What are the most recent developments for that company? What are their future goals? How have recent achievements informed them? This will impress recruiters and make your time at the career fair have the most impact. 2. Is There Potential For Growth? Companies look for people who plan to stick around. Asking about the possibilities of advancement within the company shows that you have your eyes on the long game. This is a positive trait to show when talking to recruiters. Show recruiters that you mean business by focusing on long-term goals. 3. What Do You Expect From Your Employees? Different companies have very different requirements and expectations. Be sure to ask what pre-qualifications they want you to come in with. For example, do they provide further education and training? Is there a specific level of education you need to come in with. This will help both you and the recruiter with learning if you are a good fit. 4. What Is The Company Culture? It’s important to work somewhere that makes you comfortable. Asking a recruiter to describe the company culture is really important for deciding if you want to move forward. Keep in mind that hiring is a two-way street. You have to decide if the company is a good fit for you. That means understanding the day to day culture is crucial. 5. Can I Reach Out With More Questions? No one expects you to have every question ready to go. Asking for a point of contact for further questions both shows your interest in the company and allows you time to think about anything else you’d need to know. Make sure to reach out to them soon after the career fair with a thank you note or email. This will help you stand out from everyone else and continue building your relationship with the company. Don’t let yourself get intimidated. 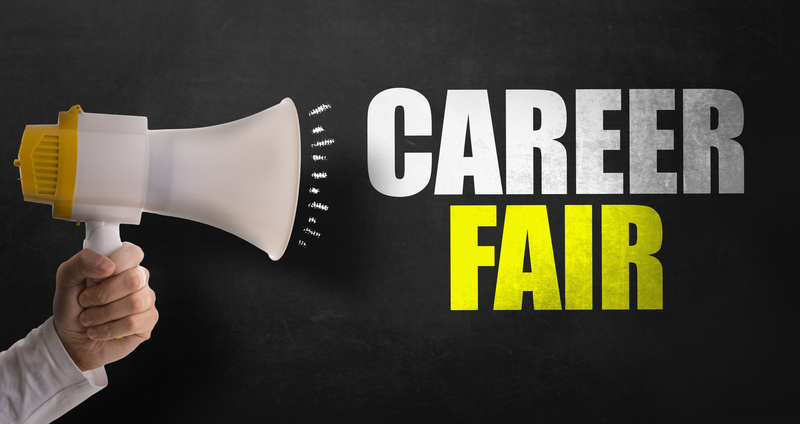 Job fairs are as much for you as they are for recruiters. Use these 5 questions to ask recruiters at a career fair as your tools for finding your best fit. To learn more about our career fairs and get connected with great companies, visit our site. We’ll help you get access to some of the best employers and candidates around.